Provocative and insightful, this eclectic, inspiring and beautiful book will open your eyes to the remarkable link between nourishment and spiritual awakening. 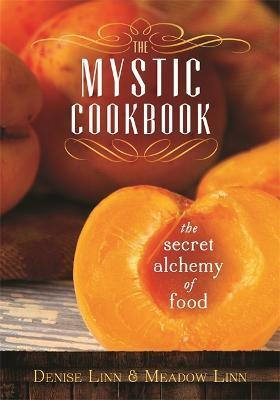 Filled with ancient wisdom, practical advice, intriguing personal anecdotes, vibrant ceremonies and dishes lavishly illustrated with colour photographs, The Mystic Cookbook brings to life a wealth of recipes and myriad experiences from as far-reaching places as Mexico, Asia, Italy, Thailand, France, Africa and Britain as well as from mystical, legendary and mythic realms. In Denise and Meadow Linn's extraordinary book, you will learn little-known secrets about the food we eat to discover your higher spiritual self. Provocative and insightful, this eclectic, inspiring and beautiful book will open your eyes to the remarkable link between nourishment and spiritual awakening. Filled with ancient wisdom, practical advice, intriguing personal anecdotes, vibrant ceremonies and dishes lavishly illustrated with colour photographs.